This training course and license is a legal requirement for anybody required to operate a builder’s hoist (also known as an “Man and Material Hoist”) in which people and/or materials may be hoisted to different levels of a multi-level building under construction or refurbishment, as per WHS Regulation definition. NOTE: This course and license does not allow a hoist operator to erect or dismantle hoist equipment. The installation, dismantling and maintenance of cantilevered platform materials hoists and mast climbers must be carried out or directly supervised by a person holding either a Basic Rigging (RB) or Intermediate Scaffolding (SI) License. Compliance with WHS licensing legislation.Risk assessment and management procedures (particular awareness of the risks associated with movement of loads and passengers). On successful completion of training and assessment, participants will receive a Statement of Attainment for CPCCLHS3001A License to Operate a Personnel and Materials Hoist and can apply for a SafeWork NSW issued National License to Perform High Risk Work (Class HP). High Risk Work (HRW) Licenses are valid for 5 years from the date of issue. To receive a SafeWork NSW issued HRW license, participants MUST lodge their license application form at an Australia Post outlet together with a passport sized photo and pay the prescribed SafeWork NSW processing fee within 60 days of the final HRW assessment. Failure to lodge paperwork on time will result in the applicant being unlicensed. Participants must be over 18 years of age, be able to speak and read English; and provide suitable 100 points of identification. If a participant fails to bring 100 points of identification a re-booking fee of $100 will be charged for assessment to be re-scheduled. AT OUR SITE – public courses are held weekly in the Wetherill Park training facility. AT YOUR SITE – this course can also be conducted at your site, with your group of 4-7 people, using your Hoist equipment (conditions apply). Daily group rates are available for onsite bookings and courses can be run on dates to suit your requirements. How many people require training at the Wetherill Park Training Facility? How many people require training on the Customers Own Site? By submitting this form you acknowledge that this is NOT a confirmed booking and the date selected may or may not be available. All the available dates will be discussed when phone or email contact has been made with you. You also acknowledge that your information supplied in the form above will be supplied to a 3rd party training company in order to fulfill your training request. 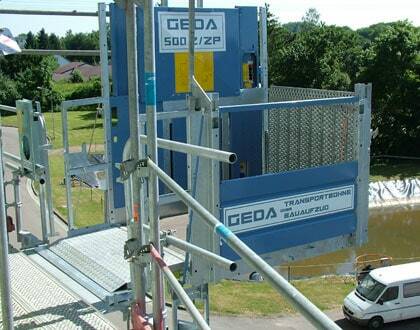 This training course is a legal requirement for anybody required to operate a materials hoist (also known as a builders hoist) by which ONLY goods and/or materials (not people) may be hoisted and where the car, bucket or platform is cantilevered from, and travels up and down externally to, a face of the support structure for licensing purposes. NOTE: The course does not allow the HM hoist operator to erect or dismantle hoist equipment. The installation, dismantling and maintenance of cantilevered platform materials hoists and mast climbers must be carried out or directly supervised by a person holding either a Basic Rigging (RB) or Intermediate Scaffolding (SI) License. 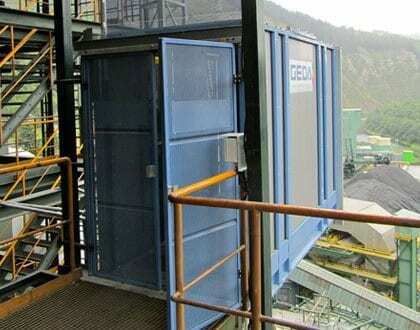 On successful completion of training and assessment, participants will receive a Statement of Attainment for CPCCLHS3002A License to Operate a Materials Hoist and can apply to SafeWork NSW for a National License to Perform High Risk Work (Class HM). AT YOUR SITE – You must provide hoist equipment, loads and a classroom for courses conducted at your site. Minimum 4 people required to maximum 8 people per course. PLEASE NOTE: If the hoist you are operating can transport personnel / people as well as goods / materials then you will require a CPCCLHS3001A License to Operate a Personnel and Materials Hoist which is different course and class of High Risk Work License (class HP). Ask us for details about this course if required.